jb - Happy Labour Day! 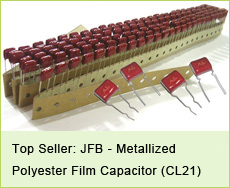 jb's hot promotion of CBB60 Motor start capacitors on May 2014! International Labour Day is coming, it's the whole world labor common festival of the people. here our jb team wish you a great holiday & enjoy it! 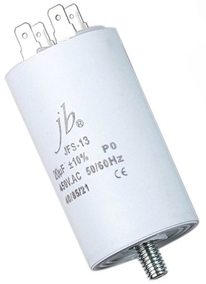 Dear, on May 2014, we are ardently promoting JFS CBB60 Motor start capacitors! If you buy them, pls. kindly send us your inquiry when you come back & anytime, thanks so much. 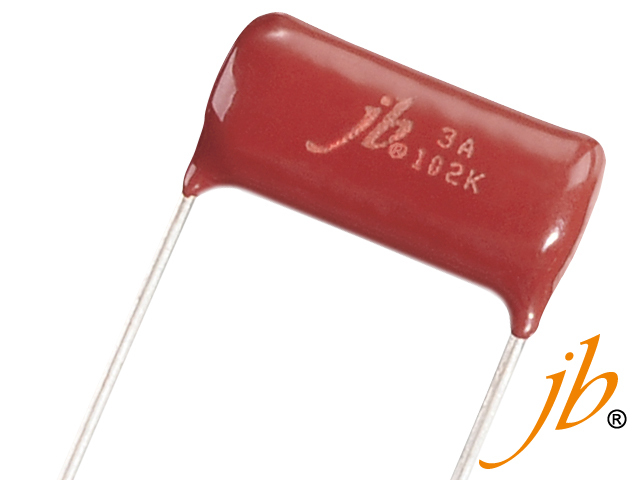 100pcs MOQ based on good order, Free samples, Lowest price, Short lead time! 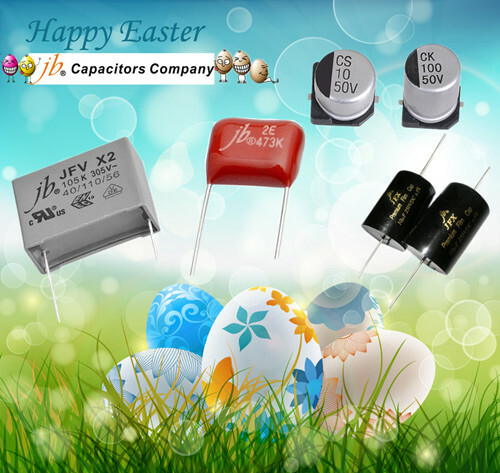 Easter is almost upon us, the Holiday is coming soon and jb Capacitors Company have got some amazing offers for the month of April. Don't miss out! 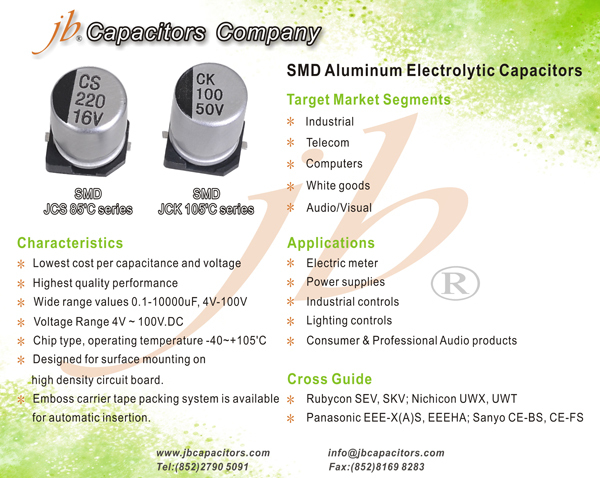 SMD Aluminum Electrolytic capacitors, small size, high quality, low price, short delivery. 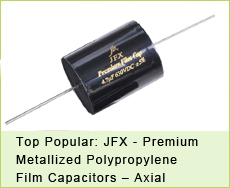 jb Capacitors produce high voltage metallized polypropylene film capacitors JFP series, with Unbeatable prices and short delivery. 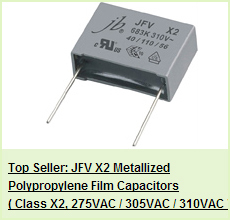 JFP - High voltage metallized Polypropylene film capacitors, in China called CBB81, in Russia called K78-2, widely used in electronic ballast, Ideal for high AC Current applications, such as CRT Deflection for R-F Generations and pulse forming networks. 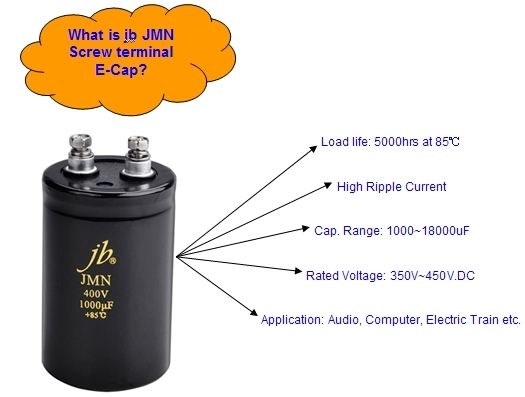 Nowadays, jb is aggressively promoting SMD Surface mount capacitors! You may received some prices from us last month. Welcome to collect such inquiry and send to us, we will revert back you a unbeatable price! 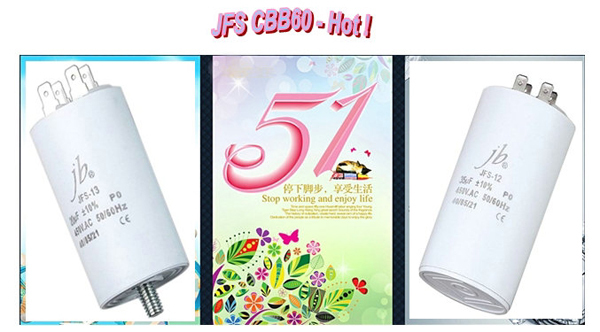 Quite competitive Price & quality, flexible MOQ based on customer request, free samples!